Parasite of the Month: Myxobolus sp. from crucian carp in China. What an ugly face of the fish!! 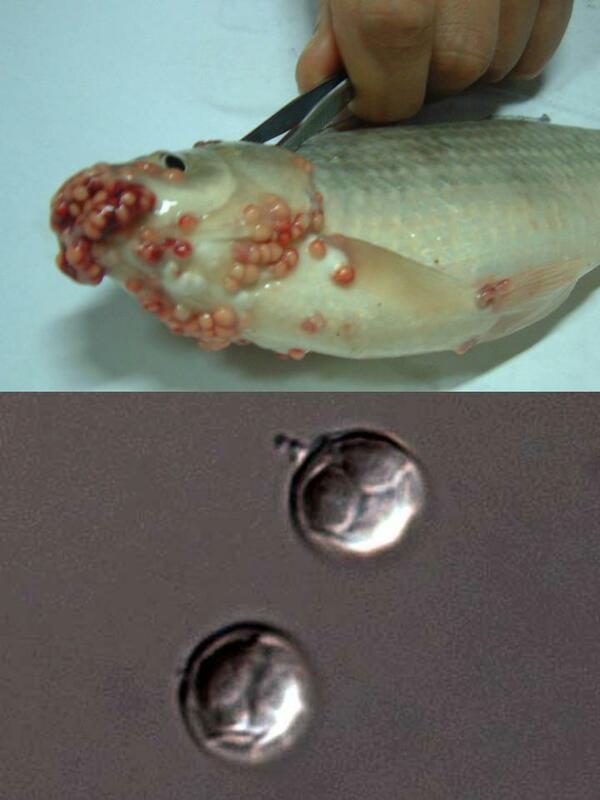 2008/04/15 'Parasite of the Month' is a myxosporean, Myxobolus sp., from crucian carp. 2008/02/07　'Parasite of the Month' is a cestoda, Diagramma interrapta, from Tribolodon ezoe. 2008/02/07　English version of DPAF is uploaded.